Fortnite (Free) Patch 7.10 is finally live on all platforms and alongside the patch, Epic Games announces “14 Days of Fortnite". The highlight of the patch for iOS is 60fps gameplay for certain iPad Pro models. The second generation Pro (10.5 and 12.9 inch models) can select 60fps from the game settings. The UI has been tweaked on mobile as well with better clarity in the snow. The “14 Days of Fortnite" event will have both new and old Limited Time Modes making a return. These will change every 24 hours in game and there will be daily rewards with daily challenges. The item shop will also have some returning holiday items with new items daily. The “14 Days of Fortnite" event goes live at 9 AM tomorrow. 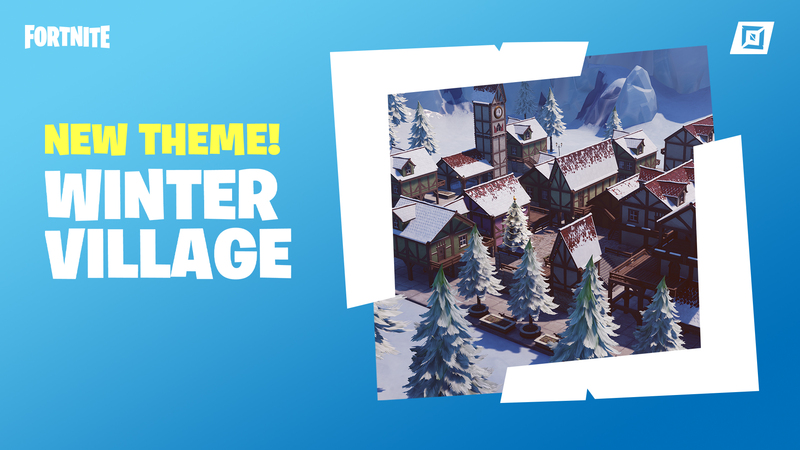 This patch also includes new Winter themed islands to Creative mode and there are also 6 new Winter Village Prefabs available.